The 2017 Ford Mustang performance features are as incredible as the vehicle itself, and as amazing as what the name evokes. There are supercharged engine and brake options, as well as impressive measures to further augment its muscle on the road. Fuel economy numbers are also worth noting, and another reason drivers in the Glenwood Springs region love this car. 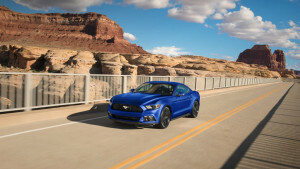 Learn more about what makes the 2017 Ford Mustang performance features stand out in its class before heading to Glenwood Springs Ford to put the 2017 Mustang to the test! If you’re ready to experience a performance vehicle that will turn every daily drive and boring commute into an adventure, stop by Glenwood Springs Ford, located at 55 Storm King Rd., and test out the 2017 Ford Mustang’s performance features! You can check for your favorite trim beforehand by contacting us online, or simply come in see what you like!